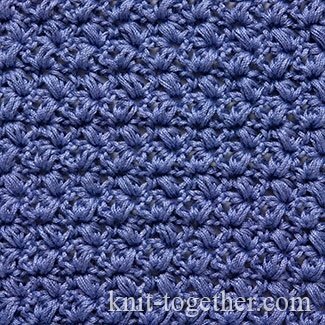 For this relief pattern is important successfully choose the yarn. 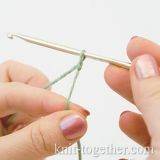 In our opinion, suitable the soft and fluffy yarn or yarn with a silky sheen, as on the photo. 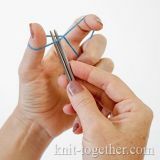 This stitch pattern is easy to do. 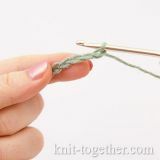 Its rapport in horizontal - just 3 stitches, and in width - 1 row. 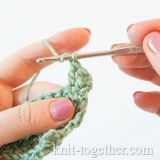 We use the puff stitches to do this pattern. 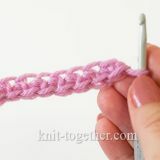 For a sample make chain stitches a multiple of 3, plus 1 chain for the symmetry of the pattern, plus 4 turning chains. 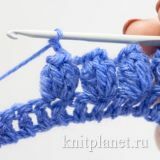 2 row: 4 turning chain, 3hdc puff in first double crochet of previous row, * 1 double crochet in double crochet of previous row, 1 chain, 3hdc puff in same stitch as double crochet *, 1 double crochet in 3rd of four turning chains of previous row. All the next rows crochet same as 2nd row.